Serious skin problems require professional help. Image Skin Care products are the 2013 official skin care products for Miss USA, Miss Universe, and Miss Teen USA pageants. When the business is beauty, professionals fight acne and skin care problems all day. Scientists clinically manufactured a line of products to promote healthy skin. Board certified physicians conducted clinical trials and discovered the effective solutions that heal and soothe skin; Image Skincare Clear Cell Medicated Acne Lotion. The average person only has a few minutes to think about skin care before facing work or school. But, you don't have to be a model to have clear, smooth skin. Clear Cell Image Skin Care samples, just like the regular consumer or professional size, are made with natural, gentle ingredients eliminating oil and excess bacteria. Chamomile has been used for centuries as an antiseptic, analgesic, and soothing agent. The essential oils found in chamomile flowers protect the skin from bacteria. Tea tree oil has also proven to have antibacterial and anti-fungal properties, which heal the skin eliminating any redness or swelling caused from acne lesions. The active ingredient benzoyl peroxide is an essential medicine necessary for basic healthcare. It gently exfoliates the damaged skin while the antimicrobial properties heal the remaining area. Image Ormedic Bio Peptide Creme is another product that is available in sample size. It is an organic formula of Japanese green tea, mango shea butter, apricot and cucumber. The cream was designed to feed the skin vitamins and nutrients. Japanese green tea is a strong antioxidant that destroys the free radials responsible for aging skin. Mango Shea butter alleviates dryness and promotes smooth, soft skin. Apricot kernel oil is full of essential fatty acids that moisturize and nourish the skin while cucumbers tighten and freshen the pours. Bio-peptide-creme is a cornucopia of natural skin care nutrients. Everyone's skin is different and everyone has probably tried multiple products to find the one that is right for them. 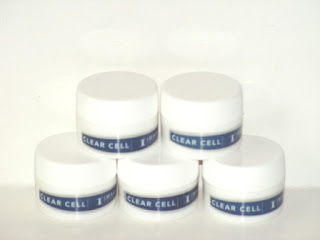 The Clear Cell Medicated Acne Lotion is good for all types of acne from mild to severe outbreaks and is safe for acne prone individuals, oily, and sensitive skin. The Ormedic Bio Peptide Creme is a great product for restoring moisture and nutrients to dry or damaged skin. This line of products is cost effective. It only requires a small amount of lotion to heal even the trickiest of skin problems in a short period of time. In the past these products were only available in spas and in the offices of licensed estheticians but now it is possible for the public to purchase these professional grade products. Clear Cell by Image Skin Care samples are the perfect opportunity to try the clinical skin care product the professionals are using. Each sample contains 0.4 ounces. That's one fourth of the full size product! There is no need to waste money buying expensive products that may or may not work. Try a sample of these ingenious products that have worked for so many others worldwide.